With a simple sofa chaise design, our Darby sectional features subtle tufted seat fronts, a contemporary look and adjustable headrests for comfort. 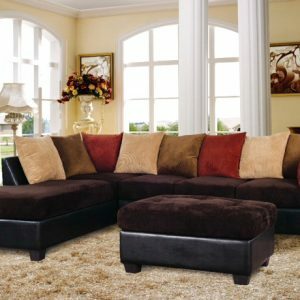 Plush bonded leather seating, attached back and seat cushions and wide arms make this a comfortable and inviting place to gather. 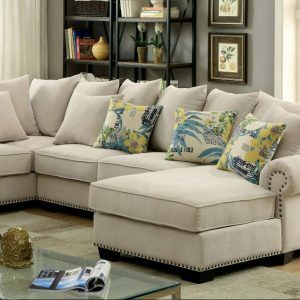 Pair this sectional with a matching armless chair (finished on all sides) for more seating, or to expand the length of this piece. Complete this modern ensemble with a glass top occasional group.